You’ve already read my recent rave blog post about the New Order-meets-Human League flavoured title song from Australian duo Parralox’s latest Aeronaut (featuring backup vox by the other member of Parralox, singer Johanna Gervin). And John von Ahlen is one busy guy, with another record called Subculture coming later in the year. Wearing both 80’s inspiration and today’s technology on his sleeve, John incorporates his original style with far too many elements and sounds of the last three and a half decades or so to identify. And it makes Aeronaut a pleasure to hear (and dance to!) throughout. Right after John’s remix of “Aeronaut” comes “Atmosphere”, which is going to take you back music and sound-wise to the days of Frankie Goes To Hollywood and Trevor Horn indulgences. It’s got a huge boom to it and could easily mashup with “Relax” or “Two Tribes”! “Do You Feel What I Feel” happily channels industrial dance of the 80’s reminiscent of Front 242 or Nitzer Ebb, while the lighter “Mystery” is right up Thompson Twins territory. “Somebody II” (in original ballad or dance remix form) is a perfect companion to Depeche Mode’s own “Somebody”. And the album closes off with the innovative and progressive instrumental “Zero”, which stands beautifully next to such recent releases as Giorgio Moroder’s “74 Is The New 24” or Pet Shop Boys’ “Axis”. So if you long for the halcyon 80’s days or are interested in hearing songs outside of the mainstream but essential for clubs, then Aeronaut is for you! Well done to John and Parralox, and Subculture will definitely have my attention when it arrives! Check out the beautifully shot video for “Aeronaut” above (ahhhhh Paris how I miss you!). I’ve been fortunate enough to follow along with the rise and rise of Toronto trio In My Coma as one of Canada’s new premiere alternative rock talents. So I was just delighted to watch their new 9 frame video take on Depeche Mode’s “I Feel You”. For one thing, it’s an excellent cover choice, one that’s not heard much, and one that the band completely makes their own, it’s several steps away from the original. Depeche Mode’s rendition is relentless and blisteringly noisy, and while I’ve seen In My Coma blow the doors off when it’s played loud in concert, they tone it down for the video, which also shows the band’s diverse talents. “I Feel You” is a great teaser for what may come on the band’s sophomore album, which I expect we’ll hear sometime next year. In My Coma opens for Moist along with Smashing Satellites on Saturday, November 22 at the Danforth Music Hall in Toronto – not to be missed! For readers not familiar with Color Theory, this one-man band, producer and engineer (aka Brian Hazard) has over the past 20 years or so specialized in a reverent Depeche Mode style of electronic music amid many original pieces of music as well. Most recently Color Theory crept onto my personal chart as guest artist on the hypnotic “Colder” by Amelia’s Fault. Color Theory’s most recent album is Adjustments Part 2, in which you will find “Headphones”. This song is one of those unassuming gems that surfaces every now and then and I just love it! The lyrics depict an obsessive loner who is wrapped up in the music inside his headphones. I think music fans will totally relate – there are just times when music consumes you and sometimes the best way is just to block everything else and let the sounds in the headphones take over. And while the original version above pulls you into its technological fortress, the Matt Mancid retro crossover mix (which you can hear and download right here) gives the song a vibrant, more 80’s kind of makeover, particularly at the beginning, with a more lilting melody and less mechanical arrangement, making it perfectly suited for the dancefloor, very reminiscent of electronic music circa 1985 (I want to point to Depeche Mode’s “Everything Counts” or Talk Talk or Pet Shop Boys). Brian himself suggests you might hear Madonna’s “Borderline” – and I do, but it’s only a small part of the melody. Even though the subject matter is introverted, the result is fascinating and enthralling. “Headphones” in its original version or remix is one of those intriguing songs that slips inside your head and stays there for good. You can pick up the original version and the album Adjustments Part 2 on iTunes. 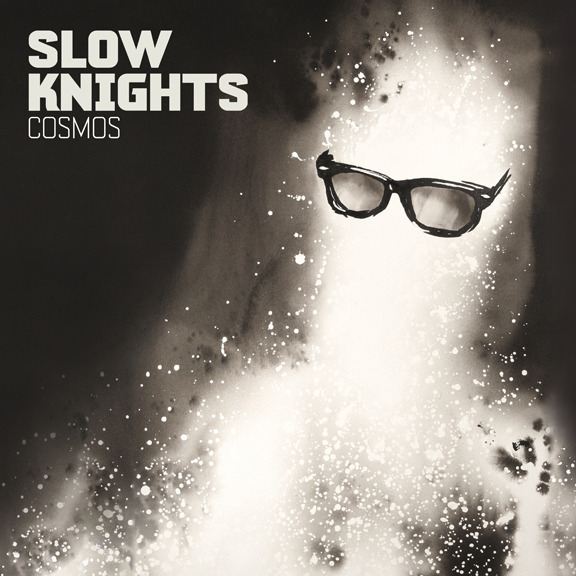 Slow Knights is a multi-artist side project put together by Del Marquis of Scissor Sisters, and these two songs which I’ve heard to initiate the album Cosmos show enormous potential. “Shame” (briefly available as a free download) is a contemporary soulful house number in an 80’s Style Council kind of way, with an excellent vocal (Mykal Kilgore, perhaps?) that could dazzle even more in remixes. “Under Attack” showcases Bright Light Bright Light’s Rod Thomas on lead with another 80’s-styled number that oozes with Stock-Aitken-Waterman influences. I’m looking forward to checking out Cosmos in full. Like a handful of other albums, I’m hoping to spend some time soon with Depeche Mode’s Delta Machine. A second video has surfaced only about a month after “Heaven”, this time for “Soothe My Soul”, another deliberately paced but engaging song more so because of Dave Gahan’s voice than anything. I was thinking “Heaven” might have had a better chance at being a hit (whatever that is these days). I don’t think “Soothe My Soul” has the same immediacy, but it does make me want to hear how huge the band must sound in concert. So perhaps Delta Machine is more of a tie-in with the band’s concert tour, you’ll have to make your own call on that. Check out the video for “Soothe” below. One of my most promising finds of 2011 was 20 year old Dutch vocalist Matt Blue, who made European fans of Jason Derulo and Usher go wild with his viral covers of their songs. Later that year, Matt surfaced with his own video of “Can’t Help Myself (Keep Dancing)”, a chipper and infectious piece of business whose first minute of its video made me believe a star was in the making. Matt is back with another insanely feel good slice of Europop, “Outta My Mind”, whose video finds the busy singer in the studio but staying in touch with his cute lady friend through various technological means. She even goes to bed with makeup on for our Matt 😉 Anyway, I’m hoping that those powers that be who enjoy Europop will help this one cross the Atlantic. It’s a huge hit in my books 🙂 That it’s a part of Kontor’s 58th volume of their Top Of The Clubs compilations is impressive. New York singer Javi Silva returns with “Across The Floor”, which will indeed pack dance floors with its graceful melody and its Euro-meets-UK dance pop flavours. The man is a powerhouse vocalist who can sing with the best of them, as we heard in 2010’s “Situation” and his work with his Native Underground project with “Night Vision” in 2011. Enormous pop and dance club potential here. The Mend are four great singers from Manchester who are out to provide you with a grand time, if the video to “Where Were You” is any indication. This despite the fact that the song could be a lovely sad ballad if they had wanted. The vocals seem to capture styles of many eras, including a bit of rap which is not at all out of place. My fellow blogger My Fizzy Pop does indeed know how to pick out lads who can sing and dazzle you from a large indie crowd. Looking forward to hearing more from The Mend! While Denver band Churchill’s “Change” has done a dandy job with making its presence known at pop and alternative radio, a stylish remix can sometimes reintroduce a song to an audience and there is almost no one out there better to do that than Penguin Prison (aka Chris Glover). While we await new Penguin music, Mr. Glover is traversing North America performing DJ gigs and evidently in-between those gigs more cutting remixes like “Change” are surfacing. Listen and download for free below. If you watched the Grammy Awards last night, you will have seen a slim young gent sitting next to Carly Rae Jepsen, who alas didn’t win any of the categories in which she was nominated. That is indeed Matthew Koma, who still resides at the top of my chart with the crunchy rocker “1998”. The challenge in two weeks is to hold on to it against one of the most beautiful songs on release right now. That’s “The City” by Toronto’s River Tiber (below), edging up to #2 (they also have songs at #7 and #20!). “Time Bomb (Walk Away)” by Chris Wallace is up to #3 and you can see Chris again on TV in North America on the Kelly & Michael morning show on ABC in 9 days on Wednesday February 20. Rounding out the Top 5 is another top of the chart contender, “Clarity” by Zedd featuring Foxes. Passion Pit comes to my city next weekend in a sold out show, and “Take A Walk” climbs to #6, while newest single from their Gossamer album, “Carried Away”, bows at #30. New to the Top 10 are the dance raveup “A World Apart” by Davis Redfield at #9, and “If I Lose Myself” by One Republic at #10 – still waiting for a video for the song as well as the Native album to arrive. 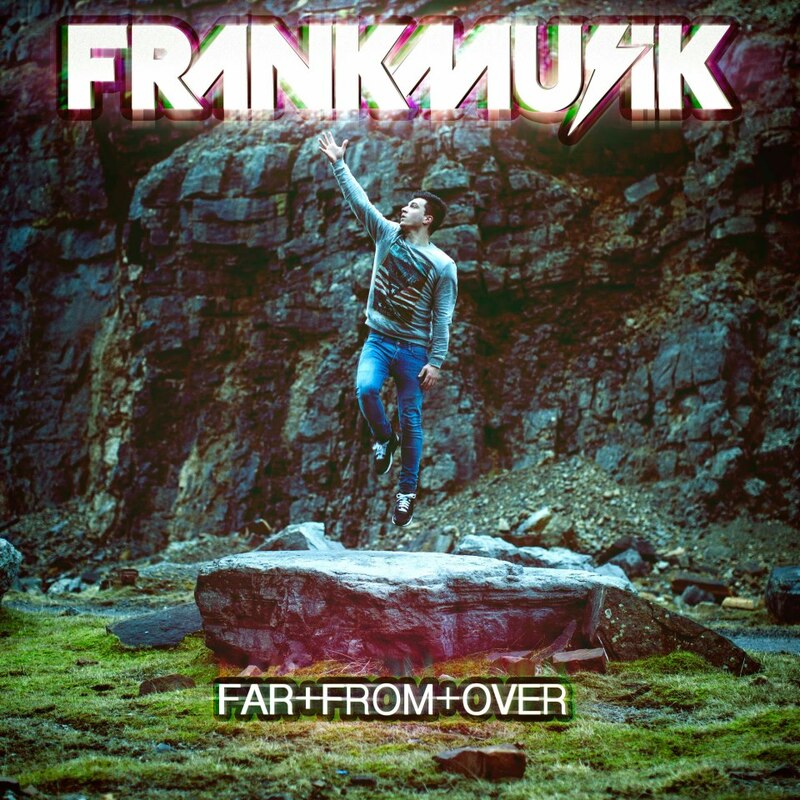 Holding at #8 and not on his upcoming EP Far From Over (due on February 14), but still available as a single on iTunes is “Fast As I Can” by FrankMusik. Far From Over looks to be one of the most riveting releases of 2013. FrankMusik has returned to the inventive electronica that won over so many fans with Complete Me in 2009, after heading in a more pop-oriented direction in 2011 with Do It In The AM. It appears to be about being lost in personal and professional turmoil, only to be rejuvenated and found again by returning to his humble beginnings, recording the EP entirely back in Croydon, England after being in L.A. for three years. The first single, “Map”, is as visceral as it is evocative of his earlier style – old becomes new again! I’ll be writing more about the EP after its release on Thursday. To whet your appetite, below is the artwork for Far From Over. While the middle part of the chart sees songs on the rise from Ne-Yo, Conor Maynard featuring Ne-Yo, Chris Wallace (“Keep Me Crazy”), The Wallflowers featuring Mick Jones, Mika featuring Ariana Grande, Eric Saade, and Justin Timberlake & Jay-Z’s “Suit & Tie”), the fastest riser on the chart belongs to “Learn To Love Again” by UK foursome Lawson, who have found themselves in the UK Top 20 this week. 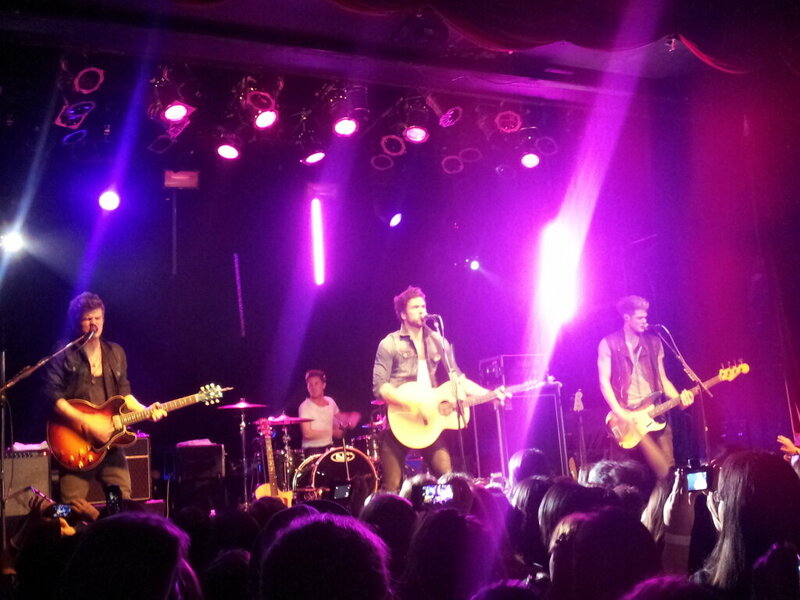 I had the pleasure of seeing the lads in concert on February 2, and they performed a crisp, solid and generous 75 minute set which won over anyone who didn’t know what to expect – considering their album Chapman Square is still not on release over here (memo to Universal Canada: Make it happen!). First, here’s a snap of the band by yours truly. A bonus to seeing Lawson for the first time in our country was to find out a week before the show that Toronto quartet Neverest would be opening. While they didn’t play for long (20-25 minutes), they sounded in fine voice and very tight musically after working on their new record. We got to hear their hits “About Us” and “Everything”, and even though I got burned on this song with all of its radio play, Neverest made Taio Cruz’s “Dynamite” sound fresh and engaging again. Video below – looking forward to Neverest’s next release… and more shows! So, it was time for a little house cleaning on the chart, and the five remaining debuts should definitely go places, not only on my chart, but in the music world. I simply can’t get enough of “Lifted” by Kwik Fiks & Bongiovanni, which I wrote about last week, so it arrives as the highest debut at #24. This is a chilled out, deep house version of “Suga Suga” by Baby Bash & Frankie J, which got to #11 on my chart back in 2003. It’s available as a free download right here. “Sail Into The Sun” by Gentlemen Hall has such a shiny, clear sound, you can hear it beckoning Spring to arrive. It premieres at #25 and you can get it as a free download or buy it on iTunes. It follows The Hall’s 2012 appearance on the chart with “All Our Love”, which peaked at #7. While “Youth In Trouble” disappears from the chart after peaking at #20, a much stronger song from The Presets’ Pacifica album is the positively epic “A.O.”, which bows at #26. This one sounds like Blade Runner met Star Wars in a discotheque, with triumphant vocals and a steady build up reminiscent of the duo’s earlier songs like “My People”. Watch the live clip below. Rounding out the debuts, at #28 is “Heaven” by Depeche Mode, which I wrote about recently, becoming the venerable band’s third song to appear on the chart since its inception (the first being the #1 “Dream On” in 2001) and their most recent being 2005’s “Precious” (#3). AVAN LAVA is a Brooklyn, NY pop/dance band that arrived on the scene in 2008 and has steadily built a following. I don’t think I’m too late to the game by debuting “It’s Never Over” on the chart at #29 about a year after the release of their EP Flex Fantasy. The trio hovers between beautiful lush pop and gritty nu-disco funk – I’d describe “It’s Never Over” as somewhere between Prince and his proteges and early 90’s pop such as Tara Kemp’s “Hold You Tight”. Watch the video below and download the song for free right here. AVAN LAVA headlines a show on March 2 in Brooklyn at the Music Hall of Williamsburg along with Nomi Ruiz of Jessica 6. Get to that show if you can (simply because I can’t!!). It’s rare that I get to write about a group or performer whose entire career has been roughly the same length as my adult life. So I’ve basically grown up with Depeche Mode from listening to – and not really liking – their first album Speak & Spell back in my college radio days in 1981. In fact I didn’t fully begin appreciating the multi-faceted talents of the band until 1984’s Some Great Reward, when it was extremely clear that they were more than just a new wave synth pop band and had to diversify to survive that era in music. And survive they did; they’ve actually made some of their best and most interesting music in recent years and have a repertoire that any band that’s been in the biz for 30 years would kill for. 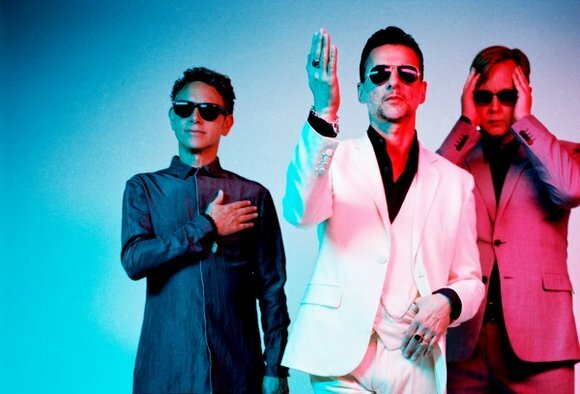 “Heaven” (video below) is the first single from Depeche Mode’s upcoming album Delta Machine, due at the end of March, their first for Columbia and latest since 2009’s hit-and-miss Sounds Of The Universe. It’s a languid affair but it does feature a most compelling and passionate vocal by Dave Gahan that definitely pulls you in and brings you back again. I’m sure the band will mix it up for the new album, but think of the song for lack of exact comparisons as “I Feel You” (without the blistering guitar sounds) meets “Stripped” with a dash of “Precious”. Would love to hear some true Depeche Mode fan comments about this one! In those 30-plus years, Depeche Mode has influenced an endless array of performers. I’ve been writing about Australian electronic duo Parralox recently, and they have been one of the first out of the gate not only with an electronic cover of “Heaven”, but also a reverent and most welcome cover of the band’s biggest North American hit “Enjoy The Silence”. 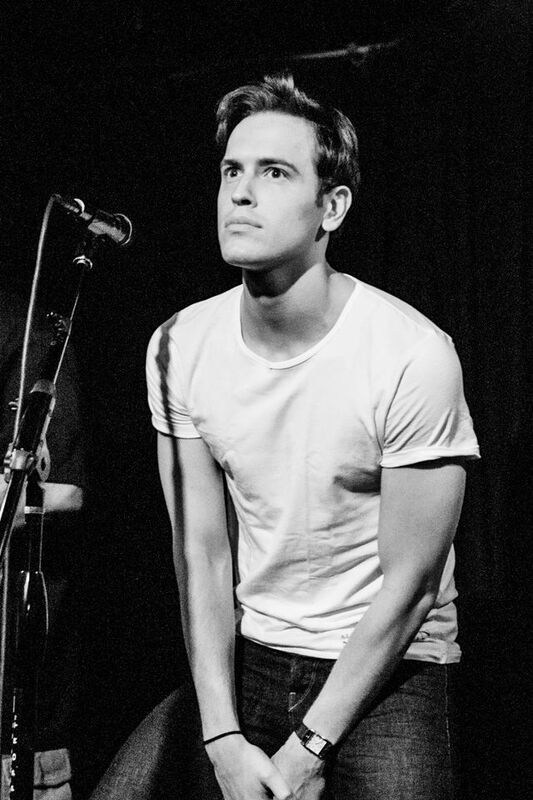 This time John takes on lead vocals from Amii and brings another dimension to the duo’s growing catalogue of songs. It’s no mean feat to carry off covers like these but Parralox performs them in style and they can easily help make them contenders in electro dance this year after already receiving positive notice with “Sharper Than A Knife”. Watch the video for “Enjoy The Silence” and listen to their take on “Heaven” below. It’s only been a few weeks since the video for BAKER’s “If U Love Me” dropped, but after hearing the Red One-produced “Overload”, it’s absolutely no surprise why this one couldn’t wait. This is one of those exceptional powerhouse arpeggio-laden dance records that could send BAKER into the international dance charts. It’s sound goes hand-in-hand with Red One’s contemporaries like Calvin Harris, David Guetta, Ian Carey, and others, but what makes the difference here is BAKER’s stunning vocal, which helps raise the bar even higher. Listen below. 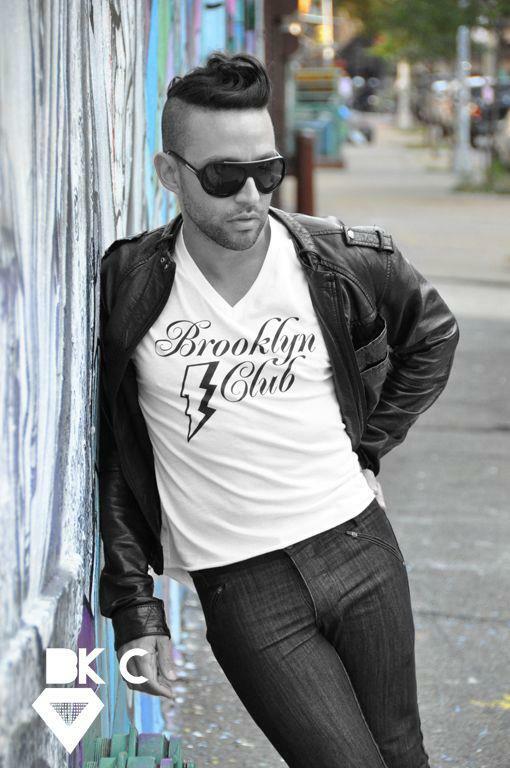 SIRPAUL is a New York singer/producer/remixer who has been making music by his own set of rules for the last 15 years. After establishing himself as a force in his own city, his music has been spreading around the world. To be honest, I had only just heard of him when his song “Going Down In La La Land” was a highlight on last year’s absolutely essential This Beat Is…Poptronik Volume One collection. Since then he’s released his latest album The Horse, from which comes the latest single “Glow”, highlighted by an expensive-looking video with some beautiful images below. The song sparkles and has a killer vocal that stands out from the rest. Some of you may know Sergey Lazarev as one half of Russian group Smash during the last decade. Others may know him from his cover of Johnny Hates Jazz’s “Shattered Dreams”, whose video was clearly shot in my city and looks like Sergey had Yonge Street all to himself (below) 😉 “Take It Off” is from his latest album Lazarev, available on iTunes, a dance track with an upfront flirty intent. You can see how much Sergey’s vocals have progressed since “Shattered Dreams”; you can’t have such a tease of a song without having a commanding vocal. Watch the live performance of “Take It Off” from last summer below. A video for the song has been in production and I hope it will surface. Mighty drums are ablaze and surely what will attract you to the latest single from UK quartet Everything Everything. “Cough Cough” comes from the band’s sophomore album Arc, released last month in the UK. It’s definitely an alt.mix of tribal rhythms and electronics that will lift you out of your seat and make you watch and listen, particularly if you like other similar bands such as The Presets or Depeche Mode. The band is signed to The Strokes’ singer Julian Casablancas’ label Cult Records for North American release, and will see an EP of “Cough Cough” on release February 5. 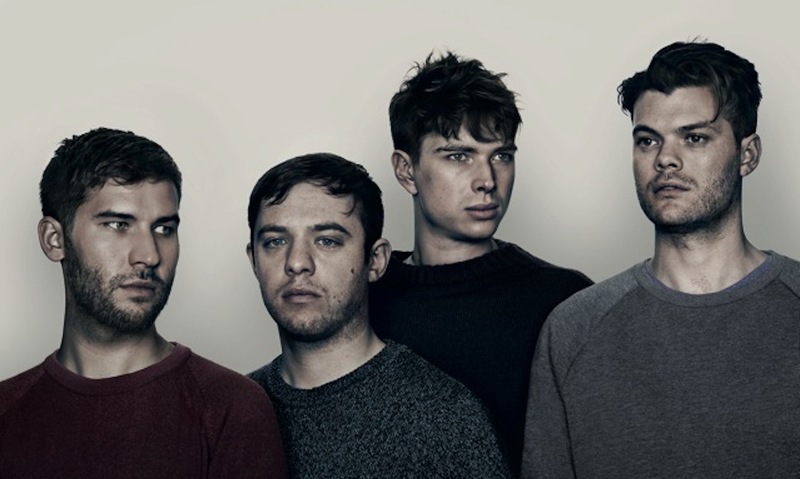 Everything Everything also performs two shows at SXSW in March. As the numbers get smaller, so the songs begin to be increasingly difficult to talk about without going into many superlatives, so I will probably save those for the Top 50 or so. When I look at this group of 50 songs, I see mainly songs that energize me or affect me emotionally. So for every rave up that is Madonna’s “Sorry” or George Acosta’s remix of “Just Another Day” or Nadia Ali’s “Love Story” or Ricky Martin’s “She Bangs” or Alex Gaudino & Crystal Waters’ “Destination Calabria”, there is JC Chasez’s totally underrated and hurtin’ “Until Yesterday”, Stabilo’s almost-sinister “Flawed Design”, Darren Hayes’ very dark “I Like The Way”, Mary J. Blige & The Game’s heartfelt mashup “MJB Da MVP”, the emotions-run-wild in Mika’s “We Are Golden”, Florence & The Machine’s gothic “Rabbit Heart”, and the teen love’s growing pains in David Archuleta’s “Crush”. Don’t discount the fabulous one-off’s that are “Jerk It Out” by The Caesars or “Summer Jam” by The Underdog Project either! This will be my last update of this list until after December 29. I’ll be away after Christmas for a few days but may blog about this and that if I have time. Merry Christmas to all who celebrate it!